If we were having coffee I would avoid talking about one job, just so I could prattle on about my other. It’s a beautiful day, so we would be outside in the garden, sitting beneath a large red umbrella with an array of tasty treats between us. Perhaps we would have a cold drink or, more accurately – you might. I’m rarely without a cup of tea, whatever the weather! From our position at the patio table, we’d have a direct line of sight to my glorious daisies. They’re drooping a little in this heat, though, granted, they are exceptionally tall this year. Being in the garden would prompt a discussion about helping my mum out this past week. Her garden has a low running white wall along the entire boundary, topped with fencing. 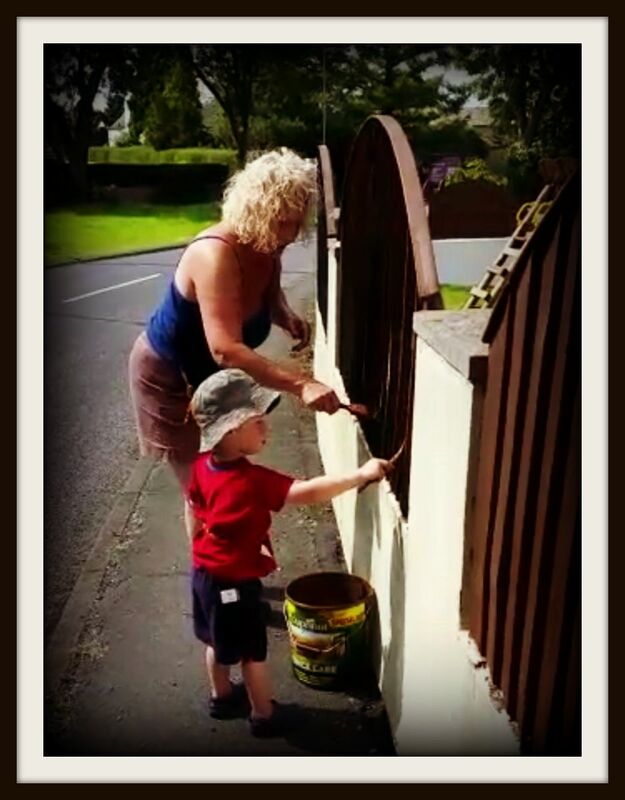 She got the messy job of painting the fence, I got the arduous job of painting the wall – it was a serious workout! The rest of the family helped too; we listened to music, chatted, and shouted insults for dripping onto each others section! It’s almost done, and just in time for my brother’s visit. He’ll be here for a few days, and we have lots planned during his stay. Most importantly, we’re having a garden party. Yes, it’s been several weeks since he got his promotion, but we haven’t seen him, so there will be banners, balloons, gifts, and a few celebratory toasts. If we were having coffee I would ask about your week, and your plans for the rest of the day. I would top off our drinks, and we might go inside for a while where it’s cool. Eventually, the conversation would turn to writing. I’ve been too busy to write this week, and the work in progress is not going well – so I’d probably be avoiding it anyway! After the weekend I will continue with the next book in the Morgan and Fairchild series. I enjoy writing strong female characters, and Ellen Parker, one of the protagonists, is a tough cookie (in more ways than one!) She’s a former Artillery Troop Officer (Royal Artillery); a weapons expert, and skilled in hand to hand combat, so, yeah – she’s fun! Ellen has similar personality traits to my great-grandmother, which makes her a formidable woman. 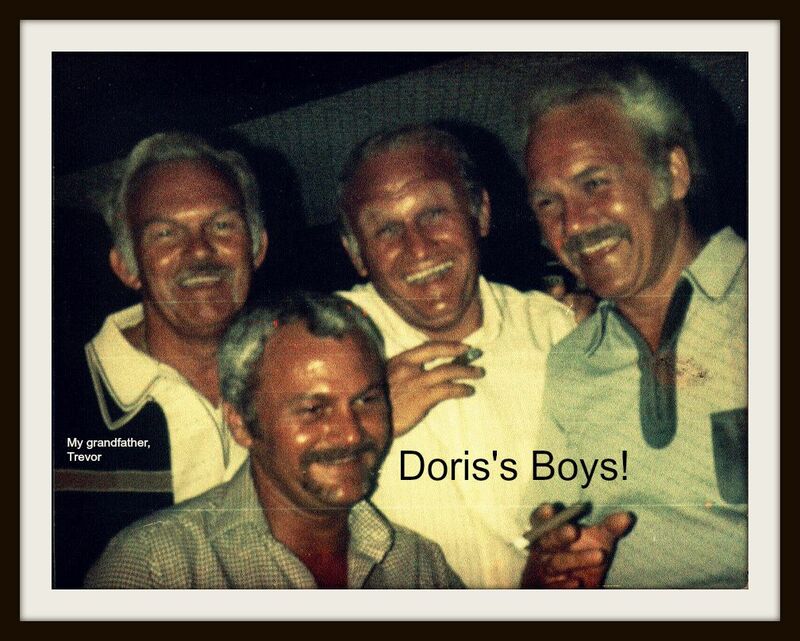 My great-grandmother, Doris, who was my grandfather’s mother, is one of my role models. Not because she raised four boys single-handed (my great-grandfather died young), but because, no matter what life threw at her, she came out fighting. She had a wicked sense of humour, and that’s one of the things I remember most fondly. She had Parkinson’s disease, and struggled with her health in general when I was a teenager, but she never let it beat her. I once visited her with my sister, just to check in. “What have you being doing today, grandma?” my sister asked. “Nowt but bloody shaking!” Oh, how we laughed…she always made us laugh. If we were having coffee, I would thank you for stopping by, and wish you a very happy weekend. I have an editing job to finish, which should be complete by tonight, and then I can make my rounds and catch up with everyone else at Diana’s place. 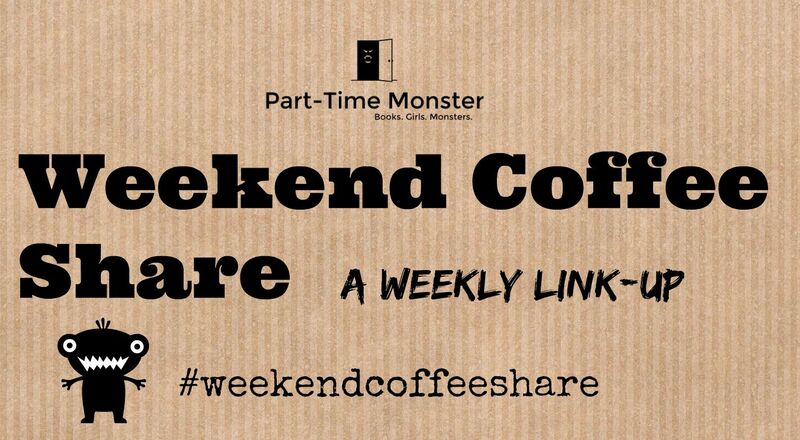 Don’t forget to check in with the others who take part in the Weekend Coffee Share at Part-Time Monster – it’s a lot of fun. Good luck on that monster if an editing job. Absolutely 😀 Thanks, Callum – she was am amazing woman. Love it! Nothing better than a strong woman to sort everyone out! That insult-shouting is essential to a family project. Love your great-grandmother’s response to your question too. Having a sense of humor seems to be a big part of being tough for some people. Meet the hardships with a laugh and they’ll be easier to deal with? Lol! And then someone does something silly and breaks the tension and everyone laughs again. Good times! Sounds like great grandma was of the Maya Angelou school ‘If you don’t like something, change it. If you can’t change it, change your attitude. Don’t complain.’ Love that sort of resilience. Me too 🙂 I think she’d like that description – it sums her up really well. What a fun coffee. I always love our time together. A little bit of Tom Sawyer there with your Grandma, hunh? I miss the days when I could sit down with coffee and a few pastries–and eat them all! No more. I’d be tuba if I did that. Grandmas and great-grandmas are the best, and mine were my heroes too. They just had so much crap to deal with back then that it blew my mind how they overcame it all and stayed optimistic about the world. So I raise my teacup to our inspiring matriarchs! 🙂 Nice to hear more about your family. I’ve always liked family stories and oral histories. Painting with that crew sounds like fun! I’ve done a lot of painting in my day but I don’t think I have ever had anyone else painting while I paint! I guess I’ve been missing something! Sounds like a busy day. Sorry the WIP isn’t going well. That’s always tough. I was super manic yesterday and was doing all kinds of cleaning, packing, and shipping, and boy am I feeling it today! I hope you manage to get some rest, before the next wave starts! When are you moving? April/May next year. Still a ways off, but I like to be prepared! Yep…. Im already planning my A-Z posts!! I know that feeling – there’s always a few things we shuffle around until we can avoid them no longer!